Category: Souk Collection. Tags: gift, hand woven, kilim cushion, moroccan kilim cushion, Morocco, one of a kind, traditional handicraft, vintage. 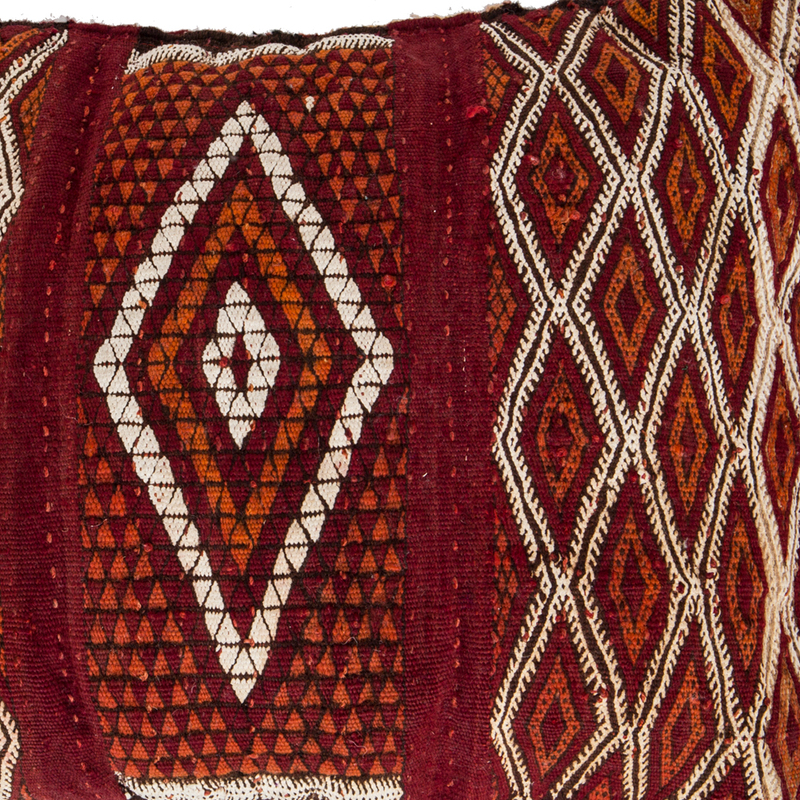 A bold, vintage, Moroccan kilim cushion cover, one of our favourites from our new arrivals. The front is a bold geometric design in red, orange, white and black with a central diamond pattern. The back is a complimentary striped kilim in red, black and rust stripes. Scroll over the images to see the design in more detail. 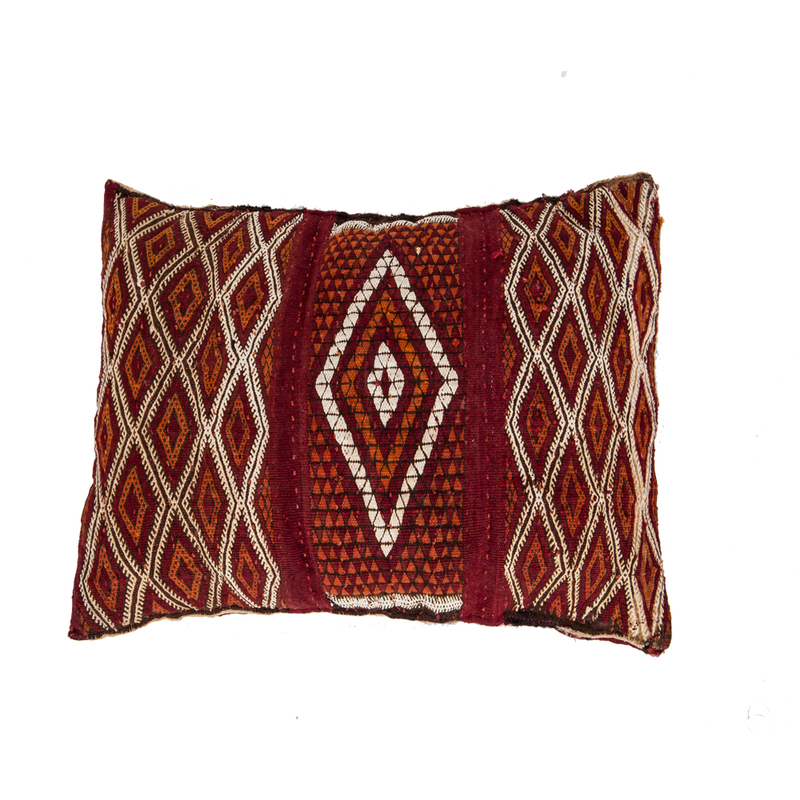 This one-of-a-kind geometric kilim cushion will add colour, pattern and texture to a sofa or chair. It works well on its own or mixed with other kilims from our collection. It is shown here on the sofa with Siham, Zohra and Bouchra. 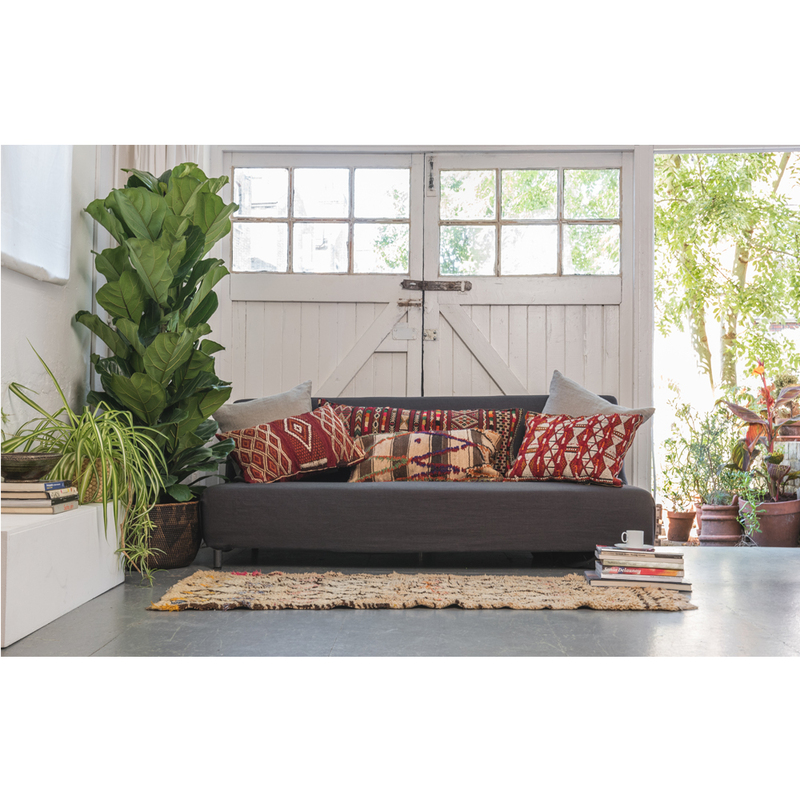 Please note that this cushion is made from vintage hand-woven kilim so there may be patches and imperfections but we think this adds to its charm. We ship our cushions without stuffing to keep delivery costs down. + We ship to Europe. + We ship to the USA, Canada and Australia click here for information.